This project was made in order to eliminate the problem of different file system used in Fostex D-80 Hard disk recorder units. The file system is very simply, but linux (and rest) operation systems unable to open it. First of all this project is on heavy development phase. Actually the audio data format is known, and tempo map format also known, but there are a lot of things what still unknown. The first goal of this project really is NOT to provide a usefull toolset for Audio Engineers, but to provide a toolset to further software development processes. So, the status is really early, because this step is one of the steps in reverse engineering phase. - Soon, I would like to change the concept of this webpage, and the way of grouping the tools. I would like to release a windows and a linux package in the near future. From this point the low level (old) sub-tools will be retired. - Windows gui is on heavy development. - Fostex remote console reverse engineering task has been finished. Soon I will release something from it. The name of the disk format (file system) of Fostex D-80. Fostex Disk Manager System V2.0. There are v3.0 version of this on Fostex product lines. But I have no other device, so... I think there are a lot of differences between v2 and v3. Windows Graphical user interface for Fostex D80 written harddisk direct accessing. Before you can use this software, you have to store the disk to an image file first. Jack client for Fostex D80 written harddisk direct accessing. This jack client have eight output channel, which are automatically connected to ardour 8 audio channel (if opened) or two (stereo) hw output for auditioning. There are handled of jack transportation mechanism, so you can grab only that part of hdd what you are looking for. Actually I have problem with the old ide harddisks which have a lot of bad sector. I try to handle it by catching sigbus, but it is not finished solution yet. More or less usefull tool. Api of the disk format parser. When I will collect all of really-necessary informations from the other layers like libsndfile, libjack, libsamlerate, etc. I will design an API for all of the tools. very dumb tool. It is a perl script and uses an external dd commandline. The only reason of this tool , to do we able to make a clean hard disk before we start to formating by Fostex. After the formattink we can check which part of hdd was touched by Fostex. This tool will write the content of "sample" file so many times. If we have two test hdd, and we want to check some differences between two fostex methodes, this small perl tool can be usefull. It is uses external hexdump and diff. This is a small mono c#, Glade, Gtk application. Actually it uses libsndfile, and my test solutions. But I will integrate some better way in the future. Small .c console application to test mmap and LARGEFILE handling. This app able to read and display the content of "big" FOSTEX drives. The display format is human readable. It is like a VUmeter. There are command line arguments, like the device,the block start and length, the resolution(how many lines are displayed). A good point to start playing with this package. first release in progress... Actually I am working on windows platform of gui, and library. Actually there is only development releases. next release in progress... Actually I am working on windows variant test and bugfix release. Windows gui, development release. Just a bugfix release, it is under test. Windows gui, development release. There are new features and bugs. Windows gui, but early development release. There are known bugs. This is the first release for linux. We have no stable release yet! Please do NOT install this package to your product box! This is a development package to reverse engineering of Fostex D-80 filesystem. Please do NOT install this package to your product box! 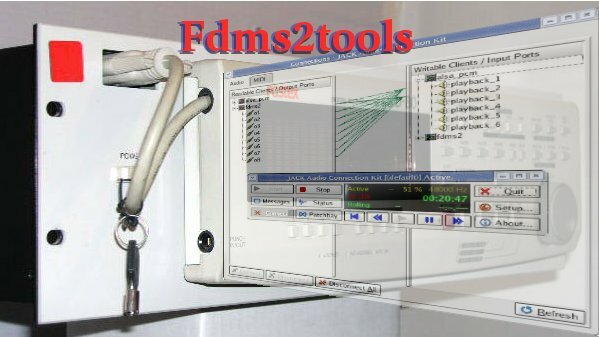 This is a development package to reverse engineering of Fostex D-80.